Paul Cézanne was a nineteenth century artist whose work was misunderstood by his contemporaries. A shy man who worked a great deal in Aix-en-Provence, the home town where he was born and raised, Cézanne moved Paris when he was young and, despite his father's wishes, pursued a career in art rather than law. Cézanne was a modern artist whose work was a precursor for Cubism and Fauvism. His compositions were usually dark in tone and he often chose to work inside rather than en plein air. Cézanne didn't receive critical acclaim until very late in his life and after his first solo exhibition. He never formed close friendships with many of his fellow artists but before he died there was a great deal of interest in his works. 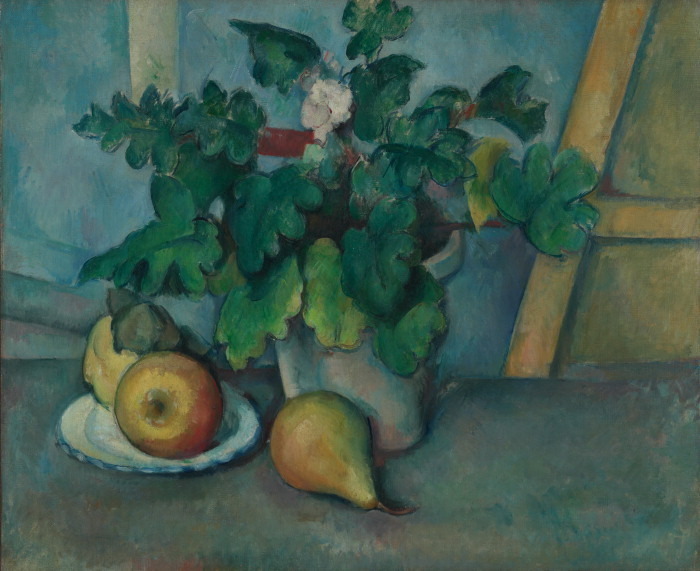 Paul Cézanne's modern style and technique was avant-garde and therefore misunderstood for many years. Even the other breakthrough artists of his era, the Impressionists, were dismissive of Cézanne's progressive style and method. 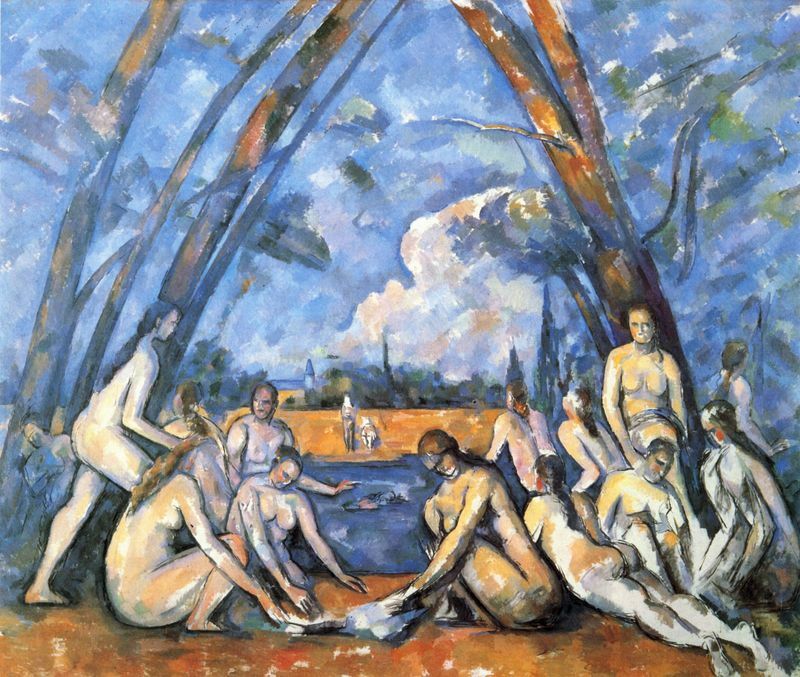 After the first Impressionist exhibition many of them petitioned to have him banned from the other shows because Cézanne's compositions were too controversial. Cézanne worked with thickly placed layers of paint and undefined forms and attempted to simplify everything into shapes that could be broken down. 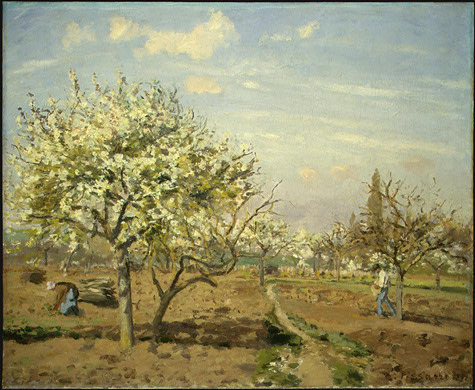 Although he was close with the Impressionist Camille Pissarro, and influenced by Pissarro's en plein air style of painting Cézanne was not an Impressionist. He was a highly modern artist who did not fit into any one category of painting style. 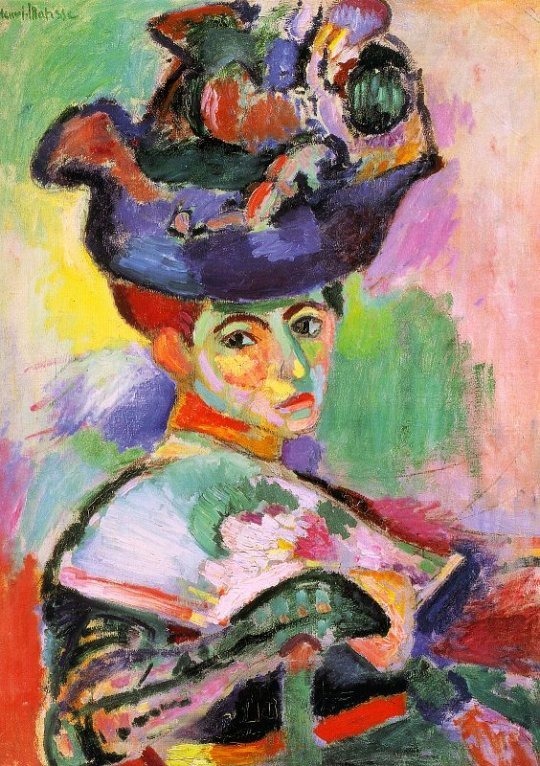 His style was a precursor for the fauvism and cubism movements. "Drawing and color are not separate at all; in so far as you paint, you draw. The more the color harmonizes, the more exact the drawing becomes. When the color achieves richness, the form attains its fullness also. The contrasts and relations of tones - there you have the secret of drawing and modeling". Paul Cézanne was born to a wealthy family in Aix-en-Provence, France. His father was a successful banker whose riches assisted Cézanne throughout his life and his mother was a romantic who supported her son's career. 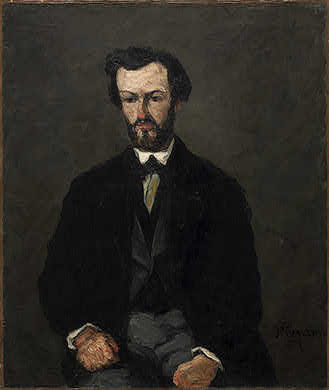 In 1852 Cézanne entered the Collège Bourbon where he met his good friends Émile Zola and Baptistin Baille. The three were famously close for a long period of time. After a classical education in Aix-en-Provence Paul Cézanne's father wished him to become a lawyer. However after attending law school for two years (whilst receiving art lessons) he could not bear the thought of continuing his education and left for Paris. In Paris Paul Cézanne spent a large period of his time with Émile Zola, a French writer. 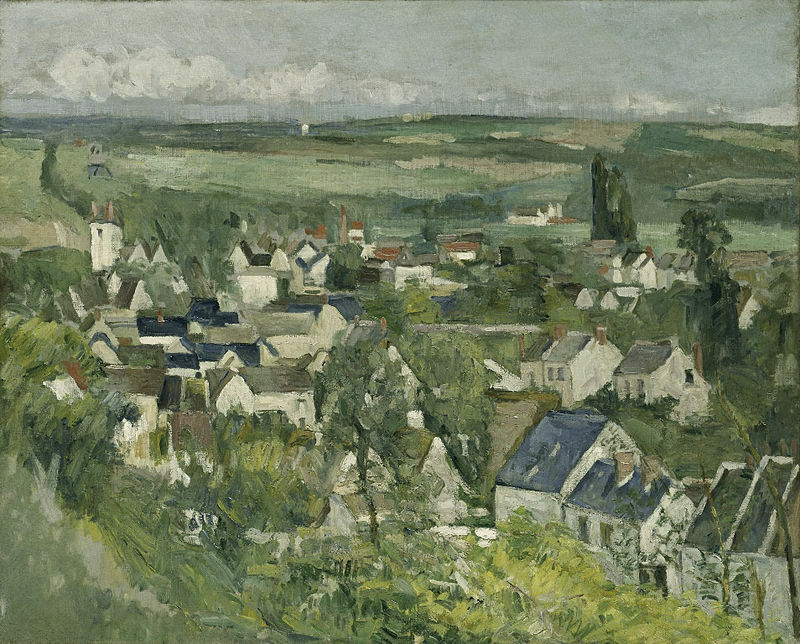 He enrolled at the Académie Suisse, which is where he met his mentor, Camille Pissarro. After five months of trying to work as a painter in Paris, France, to no critical success, Cézanne returned to Aix-en-Provence at his father's request. In his home town Paul Cézanne enrolled at the local art school and attempted to work as a banker but was also unsuccessful in this venture. 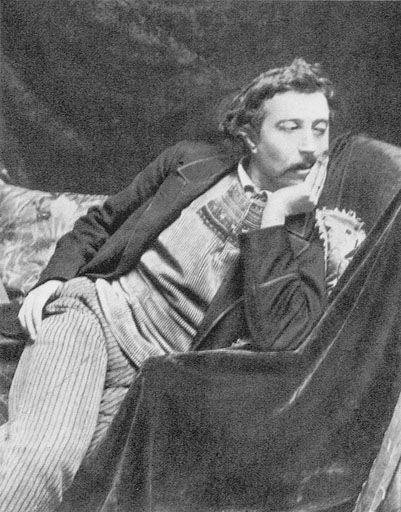 Consequently in 1862 he returned to Paris to work as a painter. Disappointingly he failed the entrance exam to the Ecole des Beaux-Arts but continued to work between Paris and Aix-en-Provence and submitted many of his works to the Salon jury. By this time he was good friends with Impressionist painters Claude Monet and Camille Pissarro and had met his future wife. However, he also had a long-term mistress - Hortense Fiquet - and in the Prussian war Cézanne and Fiquet absconded from the Paris and stayed in L'Estaque, France, until 1871. In 1872 Paul Cézanne was living in Pontoise, France with Hortense Fiquet and his newborn son Paul (whom his father did not know about). Cézanne was still enthusiastically working on his paintings and was spending time outside with his idol, Camille Pissarro. In Pontoise Paul Cézanne met Dr Paul Gachet, who was an admirer of his work and thus spent the years of 1872 to 1874 living at Gachet's home in Auvers-sur-Oise. In 1873 Cézanne met Vincent van Gogh and in 1874 he exhibited at the Impressionist's first showcase. Cézanne's work was highly criticized along with the Impressionist's paintings but Cezanne's paintings were disliked by the other painters too. 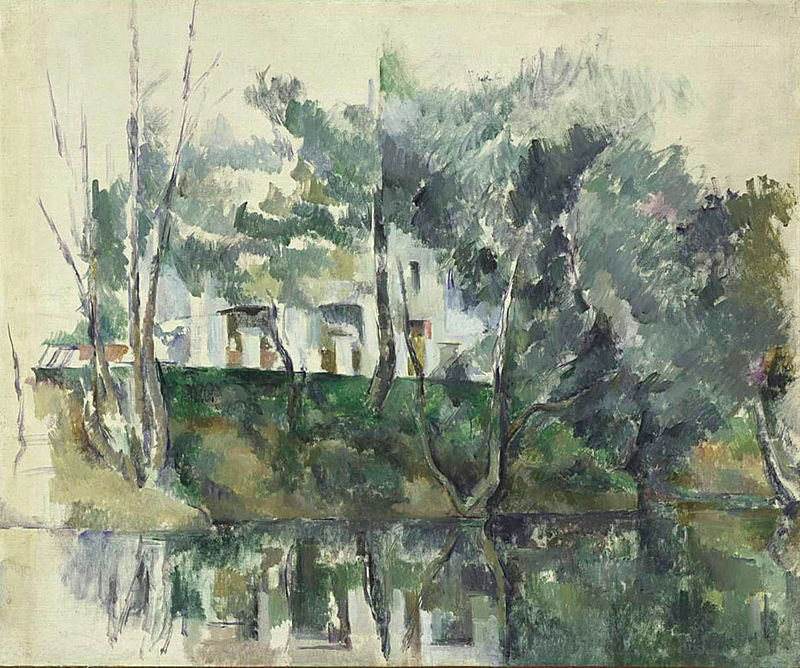 Cézanne's compositions from this period of working close to Camille Pissarro reveal that he was slightly influenced by the Impressionist's en plein air style of painting. In 1877 Cézanne showcased 16 of his paintings to a great deal of scorn from critics and vowed never again to show his work at an Impressionist's exhibition. Although still influenced by Pissarro's Impressionist style Cézanne continued to work inside his studio and didn't believe in always painting from nature. In the early 1880s Cezanne started to move even further away from the Impressionist's style of painting. He fell out with Emile Zola in 1886 because of his interpretation of Zola's novel, L'Oeuvre, and the two never saw each other again. In 1886 Cezanne married his mistress and inherited a large estate from his father, meaning he never had to worry about making money from his art. In November 1895 Paul Cézanne held his first solo exhibition in Paris and Ambroise Vollard bought every artwork. He then moved to Aix-en-Provence permanently. In the early 1900s his work was shown all around Europe to wide critical acclaim but throughout his life Cézanne was shy and hostile towards other painters and he maintained this attitude. He died in October 1906 of pneumonia and is buried in the cemetery in Aix-en-Provence. Paul Cézanne used heavy brush strokes during his early years and thickly layered paint onto the canvas. The texture of the compositions is tangible and the marks of his palette brush can be obviously discerned. Cézanne's early work has previously been called 'violent' in nature because of the hasty brush work. 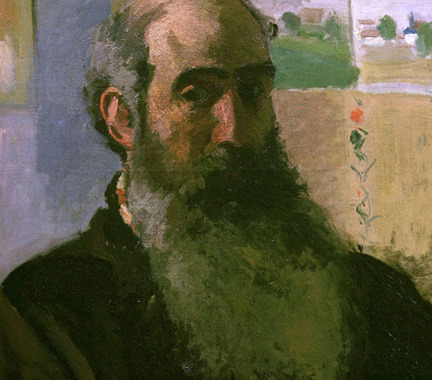 Before he became friends with Camille Pissarro Cézanne worked mainly within his studio, painting from his imagination. However after meeting Pissarro Cézanne occasionally moved his painting outside and began painting from nature. As a result his style and technique became more structured although his brushstrokes were still thick and heavy. Also, his works became brighter in color (although he still preferred to work inside with darker shades). In the late 1870s the texture of Cézanne's compositions became smoother and he attempted to create form using his paintbrush. Rather than work from sketches he was influenced by Monet's ability to create shapes on the canvas and applied color with big, broad strokes. Many of Cézanne's compositions were left incomplete because of the difficulty of finishing a piece of art work. He took months to finish any piece and his style made working en plein air too challenging. Thus he returned to the studio and worked there instead. In his later years his style and technique continued to shift as he learned more about his craft. Cézanne was highly analytical of his subjects and perceived them as different shapes that could be placed together to make an overall form. He created his works slowly, building upon each previous figure with a new outline. 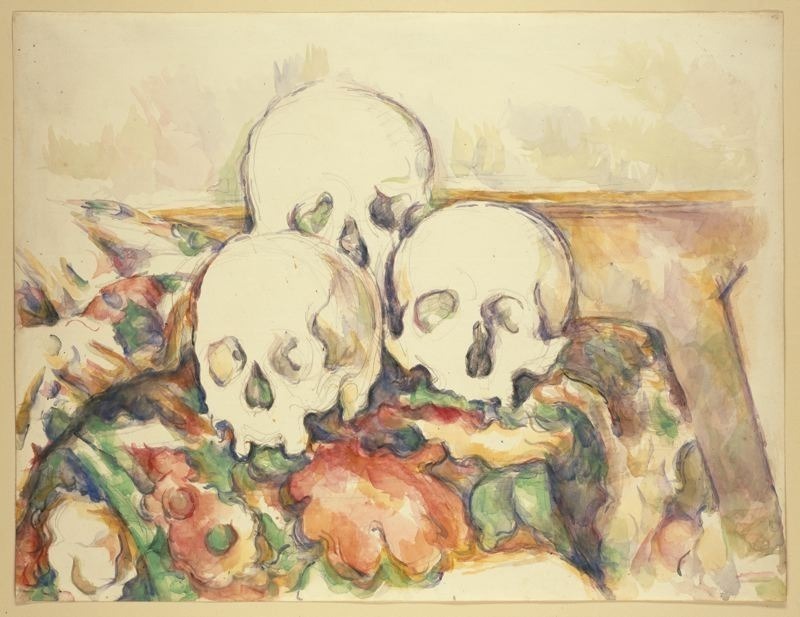 Using this method it took Paul Cézanne months to finish a portrait or a still-life. 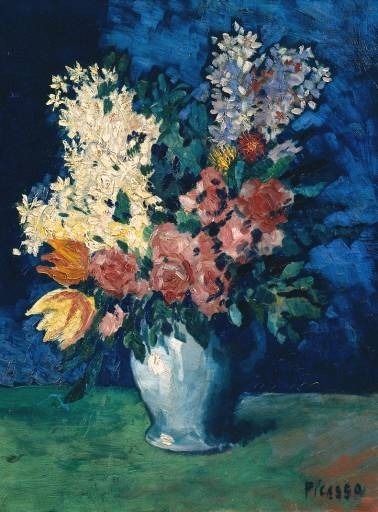 This technique became such a problem that Cézanne was unable to use real flowers because they would wilt before he was able to finish his painting. Although Cézanne did use drawings and sketches before he placed his paintbrush to canvas a lot of the work was done on the canvas itself. He found working from nature to be extremely arduous and for him returning to the scene of a landscape was often more challenging than completing the painting itself. Cézanne's complicated method of painting explains why he often painted the same subject matter time and time again. Cézanne was influenced by Impressionism in the 1870s. As a modern artist who was being constantly rejected by the Salon jury he felt some affinity with the group. Furthermore although he was never an Impressionist, after working alongside Camille Pissarro and spending time with Claude Monet his color palette brightened up and he began to work en plein air. Nonetheless after exhibiting with the Impressionists twice Cézanne ended his relationship with the group due to artistic differences. Camille Pissarro was one of Paul Cézanne's biggest influences and after spending time with him in 1872 Cézanne started to work outdoors with a wider range of colors. He met van Gogh around this time and was also influenced by his style. Consequently, Cezanne's brush strokes became less dense and more fluid in style. Compositions from this period clearly reveal that Cézanne's technique and subject matter was becoming Impressionistic. 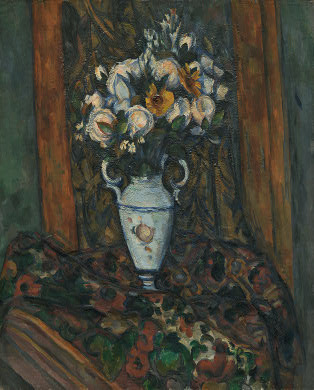 Even so his interest in working indoors persisted and Paul Cézanne created a number of still-life paintings of flowers. In the late 1870s Cézanne moved away from Impressionism for good with the use of heavy and dark colors, and he wished to analyze the scene before him rather than copy it as the Impressionists did. 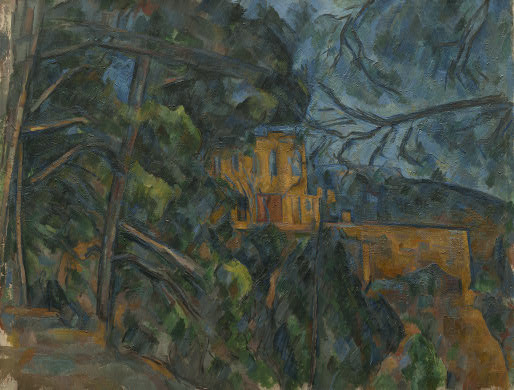 Throughout his life Cézanne became more and more influenced by nature and particularly the beauty of his home in Aix-en-Provence. He wanted to capture the part of nature that was constant rather than the surface beauty that changed with the seasons. A landscape of house on a river. Alternative NamesThe Artist's Father, Reading "L'Événement"
A landscape of a riverbank. A still life of a vase of flowers. Paul Cézanne was an artist who had a great number of followers in his later years. His work was modern before its time and after his solo exhibition in 1895 many younger artists were influenced by his style of painting in a geometric fashion. Although his work inspired followers Cezanne was nervous about meeting with them and was famously hostile toward uninvited visitors. Many see Paul Cézanne's work as the father of Modernism, Fauvism and Cubism. 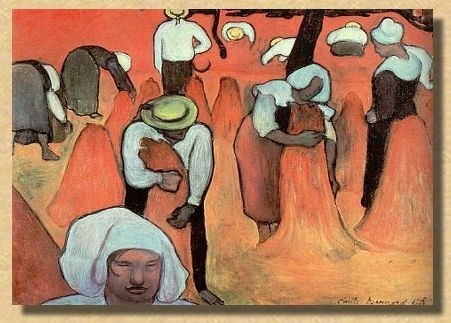 Emile Bernard was a Neo-Impressionist artist who was close friends with Vincent van Gogh and Paul Gauguin. Working in the late 1880s he was suspended from the Ecole des Beaux-Arts because his work had 'too much feeling' in it. Bernard's geometric style of painting was inspired by Paul Cézanne's method of breaking down nature into different shapes and analyzing people's faces as geometric forms. 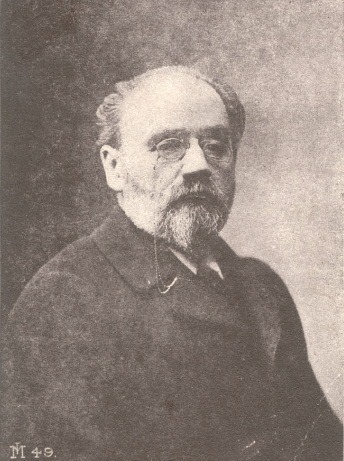 Maurice Denis was another painter who was influenced by Paul Cézanne. Working in the early 1900s he was a part of the 'nabi' movement. Denis was one of the first artists who painted in a flat style that was so indicative of the modernists. Like Cézanne he did not believe in copying nature but rather interpreting it. Charles Camoin was a Fauvist who was in awe of Cézanne's individuality and modernist tendencies. A friend of Matisse, Camoin's works have been shown extensively in France. Not only did Paul Cézanne inspire younger painters but he also influenced writers and later painters such as Pablo Picasso. His influence on modern painting cannot be easily measured. Cézanne received little critical reception during his early years. As a young man his father was disparaging of his artistic aspirations and wanted him to concentrate on a career in banking. His mother, on the other hand, was encouraging of her son's ambitions and supported him from a young age. At the Impressionist's first showcase in 1874 the critical reception of Cézanne's work was particularly disparaging. Alongside the other works in the exhibition Cézanne's paintings garnered poor reviews from the art critics. Even so the show was particularly hard for Cézanne because even the other artists were unable to understand his painting methods. Unlike many of the Impressionist artists every single painting Cézanne submitted to the jury was instantly rejected. In his career he only had one painting accepted into the Salon through remaining nameless and declaring himself a student of one of the jury's artists. Compounding Paul Cézanne's poor critical reception was his good friend Emile Zola who believed that Cézanne was a failure who would never amount to anything. Zola frequently described Cézanne's career as 'a waste'. This was not to say that Zola did not believe Cézanne was extremely talented, rather he did not see Cézanne as having fulfilled his potential. Nonetheless Cézanne did have some admirers namely Dr Paul Gauchet bought a number of his works as did the painter Paul Gauguin, who bought his piece from Tanguy. Tanguy was for a long time the only art distributor who gave Paul Cézanne a good critical reception and was also one of the only people to exhibit Cézanne's work. It was only after Paul Cézanne's solo exhibition in 1895 that he began to receive an improved response. Younger artists began to cite Cézanne as one of their major influences and his work was exhibited throughout Europe. In 1900 his work was displayed and well-received at the Exposition Universelle and art critic Roger Marx wrote a glowing review of these paintings. After his death in 1906 the critical reception of Cézanne's work flourished. 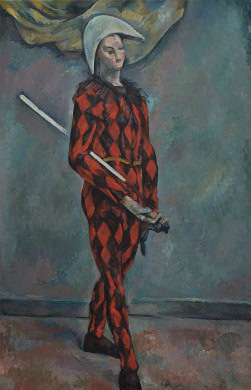 In 1907 a posthumous exhibition was held at the Salon d'Automne and 56 of his works were exhibited. The collection received wide critical acclaim and was extremely popular. In 1922 Henry Moore was enormously impressed with Cézanne's The Large Bathers and said that the moment he saw the painting was one of the most significant in his life. Cézanne is frequently cited as the precursor of modern painting and is seen to have influenced the Cubism and Fauvism movements. Many painters cite Cézanne as one of their biggest influences and his work can today sell for millions of dollars.